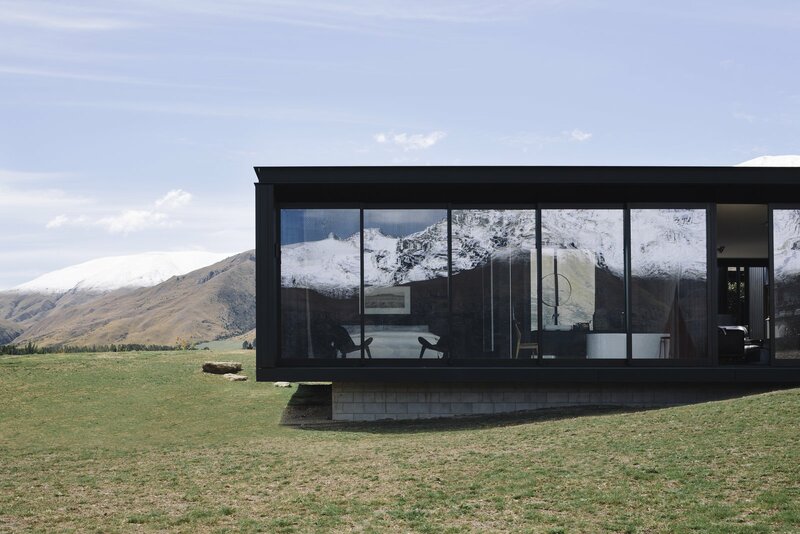 Cantilevered atop a concrete foundation and wrapped in glass, Alpine Terrace House by Fearon Hay Architects hovers gently over its site. 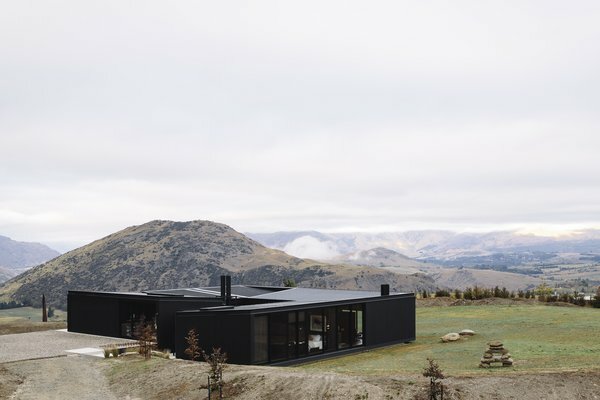 Nestled in the Southern Lakes alpine region of New Zealand, Alpine Terrace House was designed, first and foremost, to capture the incredible views of the mountain ranges that surround the site. To do so, Fearon Hay Architects arranged four simple, rectangular boxes sheathed in glass around an enclosed interior courtyard, all atop a concrete plinth. 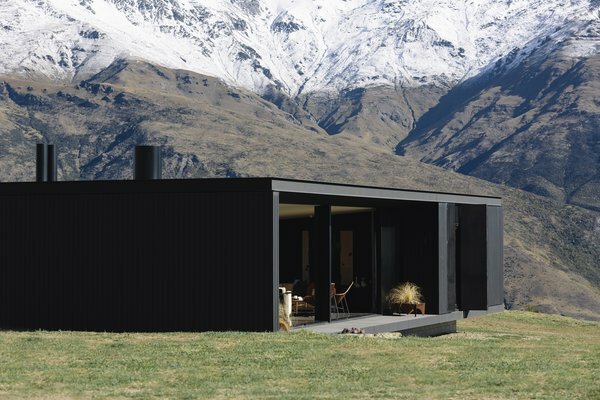 “The initial brief for this project required a sanctuary from which to take in the alpine landscape, one that could engage with views of mountain ranges to all sides,” say the architects. Entry to the house is accessed via the gravel arrival court. A floating ledge forms a bridge to the front door, which is located in a “glazed volume set between two of the buildings,” say the architects. In good weather, the owners can open up the exterior glass walls.